The score so far is 6 of 7 traps with mosquitoes, varying between 5 and >200 per trap. The majority appear on preliminary examination to be Culicines and a small proportion are Aedes-like. All tested to date are negative for the four-virus PCR panel we’re using. This is where the heavy duty rubber hits the road. The Lab Without Walls travelling team let loose up north with their lab in a suitcase. This first day (photo gallery) working in the field is the start of a short warm-up; an acclimitisation the team, their gear and methods need to ensure success. 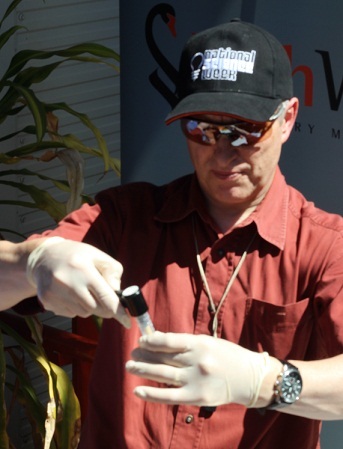 And for National Science Week they’re starting in Broome, WA, with a microscope and a thermocycler set outside the hospital doors: pathology in broad daylight. No shortage of sunshine in Broome, which makes doing the mozzie mash hot work with gloves on. In spite of the dry season, there’s no shortage of biting insects here. 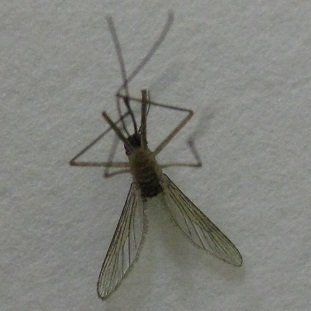 Take a look at the mosquitoes we lured into our traps on our first night in town.